This search takes you to the affiliate directory of AssociatePrograms.com, run by Allan Gardyne, the #1 affiliate guru on the Web. Allan offers objective reviews based on his extensive experience in affiliate marketing. His forum is also a helpful source of information. For each listing in this directory, you will see two numbers. The first number is the average rating that those who voted gave the affiliate. The second number shows how many votes that specific affiliate received on this site. Visit a site that appeals to you. If it has an affiliate program that fits your Site Concept, first enter what kind of merchandise it sells and then enter the URL of the "join page" into POSSIBLE PARTNERS for that keyword (as explained above). Check the top ten sites -- twenty if you are feeling ambitious -and record those with potential. Repeat the process for each keyword in your MASTER KEYWORD LIST (i.e., replace "fashion" above with another keyword like "fashion model"), starting with your specific HIGH-PROFITABILITY keywords and then following up with your general Concept Keywords (ex., "accessories" and other "concept-level" keywords that you develop, such as "design," etc.). Read the review of each potential match. Look at the ratings and take advantage of any other evaluation services the AssociatePrograms directory may offer. You can also look for "cross-concept companies." These are companies selling products that, because of their nature, fit with most or all Site Concepts. For example, whether your concept is about "Renaissance art" or "pricing" or "fashion," you'll find books about it. So always include a bookstore in your group of affiliate programs. Still in the searching mood even after all that? Try this final suggestion. You already have a list of POSSIBLE PARTNERS. Use the search tool at AssociatePrograms to check out partners. 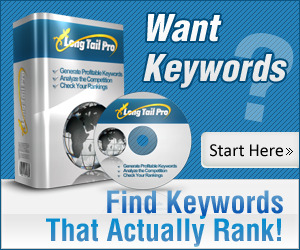 Just enter each domain into the search tool. If you want to be really, really, really thorough, and you have more spare time than I do, you could check out these affiliate directories.